A combination of favorite Mediterranean flavors; just add some crusty bread and a green salad for a light supper. Knead together lamb, onion, rice , salt and pepper, oregano, and lemon zest. Add 1 tablespoon olive oil if meat is very lean. Shape into 24 balls about 1 1/2 inches in diameter. 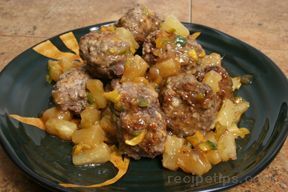 Balls can be made ahead and refrigerated, if desired. 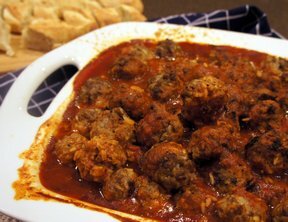 Put water about 1 1/2 inches deep in a pan large enough to hold the meatballs in a single layer, and bring to a simmer. Slide the meatballs, one at a time, into the water which should just cover them. If it doesn't, add more water or flatten balls slightly. Simmer until the rice is tender (sample a few grains to test), about 30 minutes. 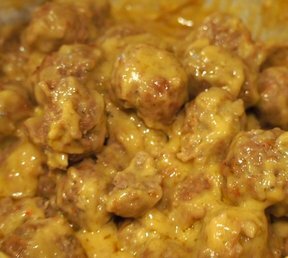 Adjust cooking water so it comes about half-way up the meatballs (add some or pour some off, if necessary). Vigorously mix eggs and lemon juice together. 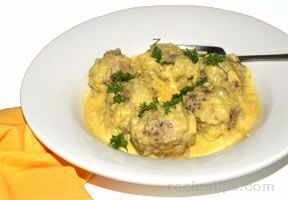 Stir in about 1/2 cup of cooking liquid to temper the egg mixture, then stir into the remaining liquid and meatballs. Cook over medium-low heat until the eggs are cooked and the sauce has thickened, 3-4 minutes. Taste for seasoning. Serve hot, with sauce poured over.